I don’t know who would want one of these, but a site called USBKill.com is selling a device (similar in appearance to a USB Flash Drive), that purportedly is designed for testing the surge protection of electronics to their limits – and beyond. Simply put: used on unprotected equipment, the USB Killer instantly and permanently disables unprotected hardware. How To Install Windows Without A Bootable Disk – Typically, to install Windows you will need some type of bootable media (such as a DVD or USB drive). To get around this often cumbersome process there is a new product recently released called WinToHDD. WinToHDD is a handy and useful Windows software that allows you to install or reinstall Microsoft Windows without using a CD/DVD or USB drive. With this All-in-One Microsoft Windows Setup application, you can easily reinstall Microsoft Windows, install Microsoft Windows onto disks other than the one where your Microsoft Windows operating system is installed, or clone current Windows OS installation (Windows vista or later) to other disk. Find Out Who and What Is Connected To Your Wireless Network – To rule out the possibility of someone piggy backing off of your wireless network, download and run (portable app) Wireless Network Watcher. UniExtract2 – Some of you geeksters out there may have heard of UniExtract (or Universal Extractor), that allows you to extract files from a wide variety of archive files, including ZIP, ARJ, LZH, as well as MSI and EXE files created using various installer packages (such as Nullsoft, Wise, Inno Setup, etc). I primarily use it to decompress installer packages, when possible. Universal Extractor 2 is an unofficial updated and extended version of the original UniExtract by Jared Breland (that is currently in development). It brings several hundred changes including community-wanted ones such as a batch mode, auto-updater and scan-only-functionality. 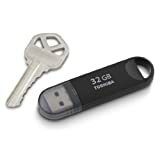 Kingston Digital DataTraveler SE9 64GB USB – What I love about this USB drive is the price and that it will attach easily to your key ring. Today only, enjoy special savings on Transcend memory products. Remember when the flash drive technology first came out. We couldn’t wait to get our hands on one. Today is no exception, especially that the capacity of the these little drives exceed the levels of what some hard drives used to be. Today I came across a good deal on the Toshiba TransMemory USB 3.0 Flash Drives that you may be interested in. These drives are especially handy for people who work in the information technology profession and for the everyday homebody who wants to store important files off site (i.e. in a bank deposit box). Amazon carries several models of these from the 32 GB capacity all the way up to the 128 GB capacity with a drop in the pricing at this time. 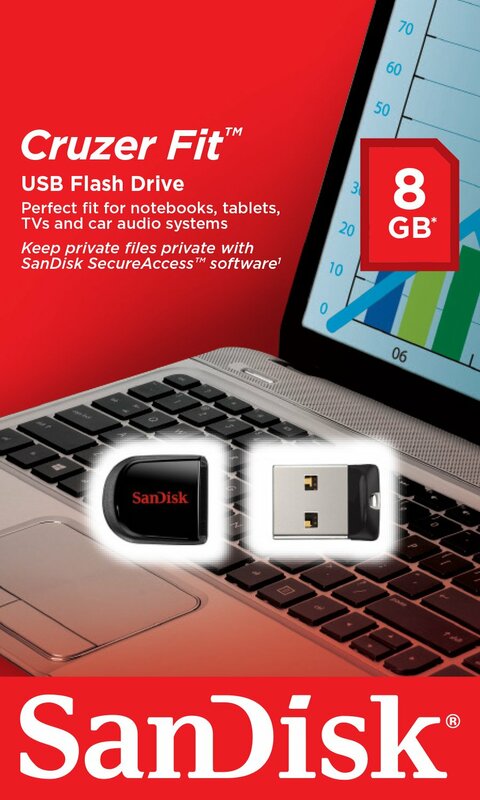 The Tech Product for this week is the SanDisk Cruzer Fit CZEE 32 GB Flash Drive. The best way to describe this drive is that it is discreet. As a matter of fact, the only bad about this drive is that it is so discreet you may just forget about it. Otherwise, this drive is well suited for a tablet computer or car audio where it is a very low profile and inconspicuous. This drive does not protrude from the side of the device like a typical in size flash drive. Just how small is the Cruzer Fit CZEE 32 GB Flash Drive? It is next to the size of a dime, so be careful that you do not lose it (or forget about it). Personally, I like the size and typically keep it in my computer to backup my personal documents. I came across this eBook today (at Microsoft Press) that may be of interest to IT Professionals and home based computer users alike. The book (in PDF format) describes the new and improved features of Windows 8 with focus on management, deployment and security. If you are new to Windows 8, this is a good read and best of all, it is FREE. Need to do a presentation and take file with you. Simply copy the file onto the HP v165 Flash Drive and take it with you. To access your data, simply plug the USB into virtually any PC or MAC without the need for bulky cables or adapters. Show your friends and co-workers how resourceful and flexible data sharing can be by accessing your files whenever and wherever you want. I see a blue phrase on my page. It’s underlined. I’m told that’s a link to a website. How do I make it work? [ CLICK HERE] for the answer. To help manage what you place on your flash drive and to help you decide what apps to install, I use a portable menu management utility called LiberKey. The abilities of LiberKey are phenomenal and will, in a sense, take complete charge of your drive. The most important feature I like about LiberKey is after I select the apps I want I can go back at anytime and have LiberKey update the apps to the current version. As a matter of fact, being big on flash drive usage, this feature alone is worth its’ weight in gold. I do not know how many times I have installed a portable app on my flash drive and never take the time to perform updates. LiberKey is FREE; is host to over 292 applications that you can select from; plus, if you are not in the mood to specifically select what apps you want to install, you can actually take the lazy man’s way out and download a complete suite of apps in a batch. I generally am a person that likes to be organized; even when it comes to managing files and program apps on my flash drive. I have tried numerous menu launchers on my flash drive and the one I settled with in the end is called “Portable Start Menu”. This little menu app installs an icon in your system tray that serves as a start menu for your flash drive apps and it does not stop there. You can configure Portable Start Menu, to automatically launch an application (or applications) when it starts up. For example, I carry my personal information manager with me. When I plug in my flash drive and start up “Portable Start Menu”, my personal information manager will automatically load and it is the first app I see. When you click on the Portable Start Menu Icon in the tray, you can readily see how much space you have remaining on your flash drive. When you get ready to unplug your flash drive, there is a menu selection available [ Close all running applications ]. This option will attempt to close any app you have open and once the apps is successfully closed a popup box (with an audio alert) will appear informing you it is safe to pull the drive. This feature alone is unheard of in the other portable menu apps I have tried. Many people lose data or cause file corruption on their flash drives due they end up pulling the drive before it has completed its’ operations. Portable Start Menu is my menu launcher of choice on my flash drive. I have been using this app for over a year and it has not ever let me down. Highly recommended! While enjoying lunch today with my parents my Mother asked me if I knew about the Conficker worm. I nearly fell off my chair and was thinking; “Mom is becoming a techie?”. Is your system infected by the Downadup Worm, Conficker or Kido? I found that Mom had been following the news on the Conficker worm on one of the national TV networks. The news media is taking Conficker and really running with it. Remember hot news keeps an audience. Create a panic and they will come… Too bad they do not carry special “daily” segments on the other security threats on the internet where people are having their money and privacy taken away. To keep you up to date, the Conficker worm virus, which has literally baffled the IT experts, has infected over 10 million PC’s worldwide since November 2008 The conficker worm takes advantage of a vulnerability in Windows that Microsoft patched back in October 2008. If your PC is patched, then do not worry. The April 1st threat (or any date for that matter) is speculation that the network of computers, already infected by the Conficker program, will start scanning thousands of websites for a new set of malicious instructions. In essence, these computers would become part of a network of robots (called a botnet) that would execute the instructions, once received. For example, if instruction were received by 10 million computers to attack (flood with data), specific websites, it could bring the sites down and even affect the integrity of the internet. As always, keep the software on your computer up to date; especially your Window’s updates and your system security software. Remember the Conficker worm that you recently read about here on “What’s on my PC…” [ click here ] ? In summary, Microsoft is going on the offensive by offering a quarter of a million dollars to track down the author(s) of the Conficker worm (aka: downadup, Kido). Conficker exploits a Windows vulnerability; patched by the October ‘08 Microsoft security update. If you had your PC configured to receive Microsoft updates automatically, you would have received the patch (or fix) this past October. Numerous reports are indicating that, as many as, 10 million PC’s have been infected. Being a former IT Manager, I have to wonder how many business and government entities were standing with their pants down on this one. No excuse in missing Windows updates, on the business or government level, in my opinion. Look out, computer hackers– there’s a new sheriff in town. Microsoft announced Thursday that it had placed a $250,000 bounty on the heads of the developers and distributors of a nasty computer virus that’s been worming its way worldwide for months. Known as the Conficker (a pun on “configure” and a four-letter German swear word) or Downadup worm , the virus has infected at least 10 million Windows-based computers since it first appeared in October. It’s forced the British and French navies to take some systems offline. Did you know that you opened a can of worms if you did not apply the Windows update for an already known Windows vulnerability, back in October? The Downadup worm virus (aka: Conficker, Kido) has globally spread like wildfire. I am now reading stories [ click here ] where over 8 million PC’s have been infected (or 1 in 16 PC’s). That is over 8 million PC’s that failed to patch their systems back in October. The most concerning part, at least to me, is that this worm can use the “AutoRun” functionality in Windows to infect other PC’s. Here is how this works. You plug in your USB flash drive in a computer that has been infected with the Downadup worm and the worm copies a file (autorun.inf), to your flash drive. You remove the flash drive and plug it into another PC, the Windows AutoRun function kicks in and the autorun.inf file, that was copied to your flash drive, now executes and infects that PC. Downadup is a worm (self-replicating). Downadup uses a variety of methods to spread itself. Downadup exploits a Windows vulnerability; patched by the October ‘08 security update. Additionally, it uses Windows AutoRun functionality; autorun.inf files are copied to USB drives and other removable media. Visit the Microsoft’s Help & Support (to learn about the manual removal method(s) and the available Malicious Software Removal tool (MSRT) tool option that is available. Many of the anti-virus sites are carrying removal options and instructions, as well. Like many viruses, this thing will continue to evolve with a variety of different payloads. If you have a PC that is connected to the internet, it is very important that you keep your systems patched (via the Windows Update) and that you keep your Security software updated (e.g. anti-virus, anti-spyware, anti-malware). The internet is in one sad shape and it is important that our defenses are in place and that we educate ourselves about any potential threats. Thank you visiting the blog and please push this info onward to make others aware. Many techie types often assume that when they are talking tech, everyone understands… Nothing frustrates me more than when someone tries to talk over my head, with the assumption I am getting it. I’ve learned to teach, talk and demo computer technology from the perspective that computer technology is new to everyone. Many people are afraid to ask tech questions due that they feel their questions are nonsensical. There are no dumb question in my book. The reasons I am doing this blog is two-fold; to teach others and at the same time teach myself. A good example of this is, I have, on many occasions, had people approach me and ask about USB flash drives. Most people do not know what they are nor what they are capable of. The USB flash drive is a small device (with no moving parts), that when plugged into an USB port of a computer, the computer will recognize it as another drive. It is at that point that you can save files to the USB flash drive (i.e. documents, pictures, etc.). The USB flash drive is also known as a thumb drive, jump drive, pen drive, key drive and USB drive. The drives are very portable and can be carried from one computer to another computer. To put this into perspective. Prior to the USB flash drive, the primary method of carrying files from one computer to another was the floppy disk. The typical floppy disk size was 1.44 megabytes. The first USB flash drives were commonly in the megabyte range; however, today they are widely available in the gigabyte range. (i.e. 1 gb, 2 gb, 4 gb, 8 gb, 16 gb, 32 gb, 64 gb). Are USB Flash Drives expensive and where can you buy them? Flash drives are relatively inexpensive and are available at just about any electronic, computer or major chain department store (such as WalMart). If I fill the USB flash drive up with files, do I have to buy another one? No, USB flash drives are re-writable. You can delete or move files on the drive just as you do on your computer. If the drive starts to get filled, you will have to put your file management skills to test and relocate or delete files (to create space). When you delete a file on a flash drive, it will not end up in the Windows recycle bin; however, in the event you delete a very important file on your drive you have a very good chance of recovering the file with file recovery software, which is readily available on the internet. Should I defragment my flash drive? No… flash drives are “solid state electronic devices” with no moving parts. There is no performance gained by defragmenting a flash drive; and if anything defragging the drive will decrease the lifespan of the drive. The more you write to a flash drive, the shorter the lifespan. Is it OK to store personal data on a flash drive? Yes, BUT… Keep in mind that we are human beings and we can not keep track of our car keys, let alone a device that is small, light as a feather and can be easily lost. I carry a multitude of data on my drive and would be lost without it. 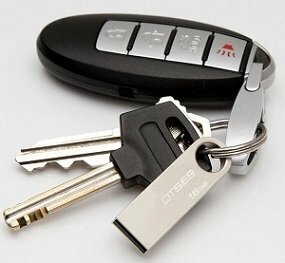 I keep my flash drive on my key ring, that way I will not forget and leave it in a computer AND any important files that I carry on the drive are encrypted. A good file encryption program to use for this purpose is “EncryptOnClick”. EncryptOnClick is a program that can be installed on your flash drive that lets you securely encrypt and decrypt files. Can I run software from a flash drive? The popularity of these drives has driven software programmers to design Windows based software that is designed exclusively to run on flash drives. These applications are commonly known as “portable apps”. To explore what software is available here are popular sites that specialize in portable applications. You can also explore the portable applications that I use by clicking on the “Portable Apps” tab at the top of this blog. Can I use my USB flash drive at work? Potential embarrassment to company if the drive is lost. NOTE: I encourage you to read an article recently posted on the blog titled “USB Extension Cable…” If you use a flash drive on a frequent basis, an extension cable is a real timesaver. I also encourage you read the article “Can’t use their thumb drive at work – Reader Question”, posted by TechPaul at “Tech-for Everyone”. If you are someone that uses a USB flash drive on a regular basis, like I do, I highly recommend that you purchase a USB extension cable. The extension cable makes it much easier to plug in your flash drive; plus, it prevents wear and tear on your computer’s USB port(s). I have the “male” end of my extension cable plugged into one of the ports at the rear of my PC (which is on the floor) and the “female” end of the cable lying on top of my desk. Unlike USB desktop hubs, where again you have to fumble around and search for and plug in the flash drive, I simply lift the female end of the cable and plug in the drive. It is the ultimate way to make using your flash drive an enjoyable experience. I also use it to plug in a digital camera to download my pics from the camera to the PC. You can get these at just about any electronics store (Belkin, USB Gear, Circuit City, Radio Shack, Best Buy, etc…) and in various lengths. Keep in mind, the USB standard limits the length of a USB cable to 5 meters (about 16.5 ft.). You want Hi-Speed USB Revision 2.0 Shielded, USB Extension Cable USB Connector Type A Male to Type A Female. Don’t spend more than $20 bucks for one of these. It’s the simple things that can make your computing life enjoyable!